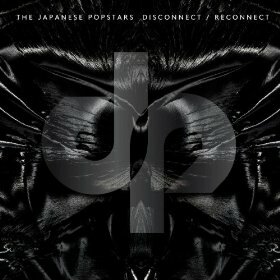 Don’t be misled by the band name: The Japanese Popstars are currently an electronic duo hailing from Northern Ireland. Since their last release, 2011’s Controlling Your Allegiance, the group has lost a member to solo projects and scaled back their sound to make Disconnect/Reconnect a much more purely electro record with plenty of techno elements. Most of the songs on this album are instrumental and incredibly danceable. The Japanese Popstars are popular for their remixes for diverse artists like Beyoncé and Daft Punk and their live show skills, particularly at festivals, so it’s no wonder that their tracks would be incredibly catchy. The repetitive “Pump Power” is an absolute digital earworm, while “The Dealer” has a heavier beat and an almost dark edge. However, this record does miss some of the charm that came through from the collaborations on Controlling Your Allegiance. With acts like Lisa Hannigan, James Vincent McMorrow, Tom Smith of Editors and Robert Smith of The Cure, indie and rock elements were blended well with house music. On Disconnect/Reconnect, the guests are limited to Green Velvet and Ryan Vail. The duo has gone back to a more strictly electronic sound, but they may alienate a few fans who liked how previous collaborations showed off the best of their original composing and remixing skills. If you want to jam or dance though, this is certainly a solid collection.